Harris Gartenhaus' free throw with :07.8 left was the difference as the Warriors (2-0) got their first win over an MIAA B team in years. Gartenhaus and Ryan Ross each scored 16 points and Gav Landau added 14. David Lurie scored 13 points and Alex Farkas added 12 as the #10 Warriors (4-2) won in the opening round of the South Florida Jewish Day School Tournament. Aaron Ben Shmuel had 20 points and 10 rebounds, Yaniv Assraf scored 16 points and Andres Bacal added 12 to lead the #11 Lions (4-1) into the title game of the South Florida Jewish Day School Tournament. Yavne du Nord (3-1) wins its third straight. Lee Farkas scored 26 points, Sammy Vayngart added 17 and Jake Silvers had 12 as the #4 Tigers (4-1) rolled. Joseph Wortman scored 15 points as the Aces won their season opener. Ofek Reef scored 20 points, going 10-of-11 from the free throw line, and Jonah Eber had 14 points as the #13 Bulldogs (6-2) won their fifth straight game. The #1 Firehawks (7-1) scored the final five points to reach the quarterfinals of the West Valley Tip Off. Zack Muller led Shalhevet with 18 points and Noah Rossi scored 10. 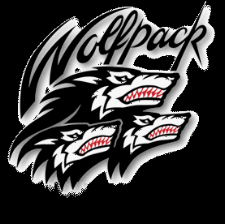 Akiva Kamornick had 19 points, Yonah Hami scored 18 and Benji Dan chipped in 15 as the #21 Wolfpack (5-3) extended their win streak to five games. Noam Meisels scored 33 points for the #16 Panthers (3-4). Missing four players, #23 Wildcats (1-8) drop two games in round robin play at the El Monte Tournament. Blake Asherian scored 20 points in the Estancia loss. Yakir Magence scored 17 points and Yoni Bensousan added 15 but the Knights dropped their season opener. Tigers lost their opening game. Alan Berkman's basket and free throw with under a minute left won it for the #11 Lions (4-1) as they rallied from a 17-point 3rd quarter deficit to win the championship of the Jewish Day Schools of South Florida Tournament. Berkman led Hillel with 18 points and Aaron Ben Shmuel added 16. David Lurie led the #10 Warriors (4-3) with 20 points and Solomon Rosenthal had 14. The Storm (3-3) won the consolation game of the Jewish Day Schools of South Florida Tournament. Eagles drop to 0-2. Ethan Morris had 20 points and 11 rebounds and Nossy Orgel scored 12 points but the Macs (1-4) dropped their regular season opener. Noah Diner led the Stars (2-8) with 19 points in each game. Jonah Eber scored a career-high 25 points, Ofek Reef added 19 and Mason Schwaber had 18 points and 10 rebounds as the #12 Bulldogs (7-2) extended their win streak to six. The Rams won their season opener behind 27 points from Josh Kreisler and 17 from Addison Brand. Zack Muller scored 22 points, Zeev Remer added 15 and Asher Dauer and Noah Rossi each had 10 as the #1 Firehawks (8-1) pulled off the upset to reach the semifinals of the West Valley TipOff Tournament. Shalhevet trailed by four at halftime but outscored the Coyotes 25-13 in the third quarter to take control. Albert Fallas scored 12 points but the #16 Panthers (3-5) dropped their third straight. The #23 Wildcats (3-8) ended an 8-game losing streak with a pair of wins at the El Monte Tournament. Blake Asherian scored 17 points in the first game and 19 in the second and Etai Abutbul and Noah Carmona also scored in double figures in both games. Braden Terner scored 21 points and Ben Siegel added 13 as the Lions (3-0) rolled. 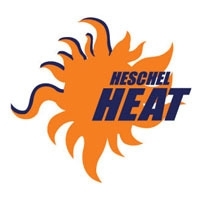 Jesse Abed had 19 points and Ricky Sutton and Jake Bohrer each scored 12 to lead the #8 Heat (5-0 league; 6-1 overall). Gabe Shamama scored 18 points, Dovi Baratz added 12 and Matthew Jedwab had 10 as the #18 Hawks (3-2; 6-6) beat the #3 Ravens (4-1; 8-4). Aaron Azose paced Rambam with 18 points and Ethan Aaron scored 12. Gavriel Kahn had 24 points and Noah Rhine scored 11 for the #5 Wildcats (4-1; 7-2). Hymie Sassoon led the Thunder (1-3; 2-4) with 14 points. Joe Zekaria (21 points), Morris Tobias (18) and David Cohen (14) combined for 53 points as the Heat (2-3; 2-4) beat the #21 Wolfpack (2-4). Shaya Fried led Waterbury with 27 points. #12 Stars now 5-3, 4-2 in the league. Uzi Mermelstein scored 14 points and Akiva Kamornick, Yonah Hami, Jacob Cohn and Liorel Bitton each added 10 as the #21 Wolfpack (4-3) won their fourth straight game. The #1 Firehawks (6-1) led by two after a 20-10 third quarter but ran out of steam in the 4th against the bigger Normans from Division 2A. Zack Muller led Shalhevet with 24 points and Zeev Remer added 11 but the Firehawks missed six free throws in the fourth quarter (21-of-31 for the game). Judah Oppenheimer scored 30 points and Drew Grrenbaum added 17 to lead the #7 Sting (3-1; 6-3). 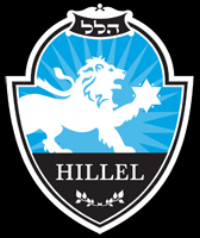 Hillel (1-3, 1-4) was led by Morris Tobias with 21 points and Joe Zekaria with 19. Nadav Twizer scored 19 points and Gabe Plotsker had 15 points, 12 rebounds and eight blocks as the Cobras (4-1; 5-5) won their third straight. Omer Neutra led the Lions with 19 ;points. Yoni Drazin scored 18 points but the Heat (2-3) fall on a 3-pointer with :05 left. 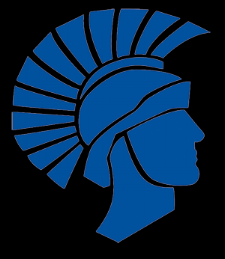 The Wildcats (1-5) fell in the consolation bracket of the Heritage Christian TipOff Tournament. Toby Holm and Moze Thurmgreene each scored 17 points and the Wolves went on a 48-8 run in the middle quarters to win their season opener. The #11 Heat (4-0 league; 5-1 overall) led from the outset and the #6 Cougars (3-1; 5-4) could get no closer than 35-29 late in the 2nd quarter. Jake Bohrer paced Heschel with 24 points on 10-of-13 shooting Ricky Sutton added 18 points and Jesse Abed scored 12. Max Mayerhoff had 15 points for Frisch. Yonah Hami scored 20 points, Uzi Mermelstein added 14 and David Abezis chipped in 10 as the #21 Wolfpack (3-3) won their third straight. Noam Meisels had 18 points and Joseph Sassoon scored 16 for the #16 Panthers (3-3). Kabir Suri scored 15 points, Ben Siegel added 13 and Max Shuster had 12 to lead the Lions (2-0). SCYHawks win their season opener. Liam Evenhaim scored 24 points and Jack Bromberg added 15 for the #15 Jaguars (2-3). Blake Asherian had 20 points and three others scored indouble figures for the #23 Wildcats (1-6) but they lost in the 7th Place game of the Heritage Christian Tip-Off Tournament. Noah Carmona added 13 points, Ethan Zimmerman had 12 and Ethan Khorsandi scored 10. The only game to be played in New York's mid Snovember mess saw Michael Tsor score 27 points as the #12 Stars (3-2 league; 4-3 overall) get their third straight win. JHA leading scorer Oren Betesh had 22 points for the Hurricanes.